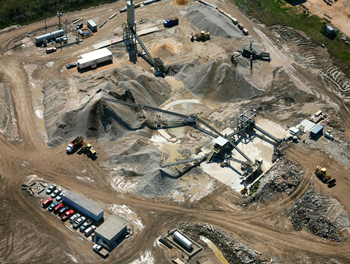 We specialize in processing and selling recycled concrete. Our 9 Houston area recycling centers produce a variety of grades of recycled concrete products and deliver 99.6 percent completely recycled materials. We accept good, clean concrete material for recycling. Cherry also purchases raw concrete that can be processed into different grades of recycled concrete material. Visit one of our 9 recycling centers.